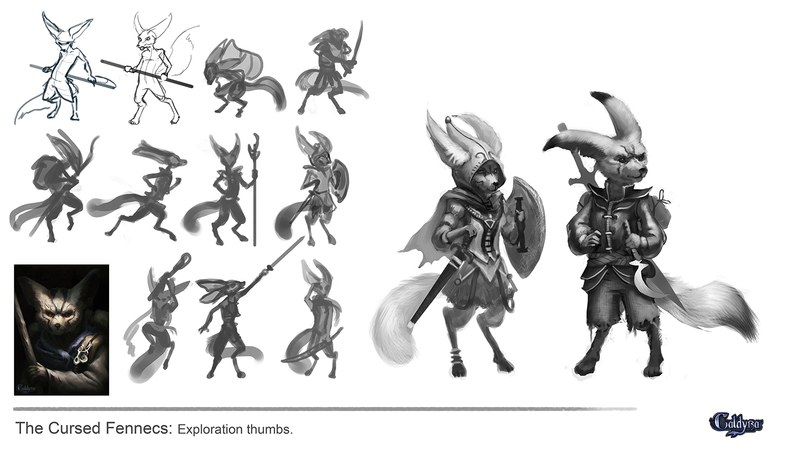 I'm working on an artbook, similar to art of the game sort of books, with more emphasis on storytelling images, next to simply concept art. My goal is to get the book done around August 2014. I aim for +/- 150 pages filled with 60% concept art, 25% storytelling visuals (similar to filmframes, or comicbookpanels) and 15% text. Caldyra is a world and story from my own imagination. Most work will be painted by me, but now and then there will be a few guest artists helping me out. (If you are interested pm me) So far the other artists are: Titus Lunter and Brent Hollowell. In this fantasy world, the human race used to be a highly ranked species when they harvested magical enhancement leaves from the Caldyra tree. But the human race grew so greedy, they killed all the trees to gain their magical powers... leaving them without any magic at all. A long war took place as now other magical species took control, killed more than half the human race and enslaving half of what was left. 40 years later a young freeborn girl called Ninae, working in her family's Inn in one of the last human controlled cities decides to run away to follow a sword for hire man called Borus. every magical harvester from every corner of the land. This brings Ninae and Borus in all sorts of trouble in all sorts of places. The will encounter large telepathic beings who enslave and trade humans, scary human eating desert people, marvelous creatures of the swamps and the beautiful creatures from the deep forest. Borus, a hand for hire, side character. 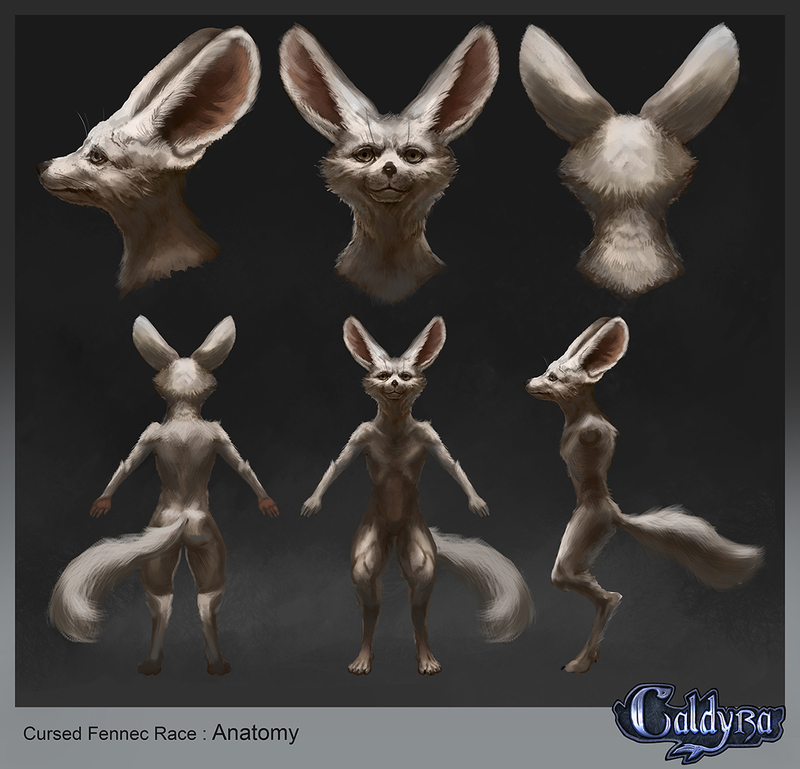 Fennek, a side character companion. Wow this looks like a very interesting project! Solid pieces! I've actually seen the first image in DA before, but didn't know that it was for this project. When did you start to work on it? I've got some more here.